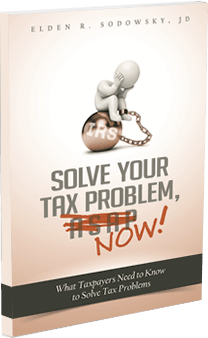 Are you stressed by IRS tax problems? Don’t know where to turn for help? Wondering if the TV and radio ads are telling you the truth about fixing your IRS problem or your Virginia tax problem? A Virginia tax lawyer can help. Guiding and assisting you in setting up and successfully running your business. Mr. Sodowsky has been assisting clients with IRS tax problems and advising on business set-up and operation for over 25 years. He is extremely knowledgeable in tax and business law and can successfully help you navigate the particulars of your individual legal situation. As a long-time Virginia tax lawyer and resident, Mr. Sodowsky takes pride in serving people in the state and the local community and in working closely with his clients one-on-one to find the best legal solution for their unique situation. When you don’t want to talk to the IRS, talk to me. Mr. Sodowsky has taken on my case, which by no means is an easy one. He has been able to help me through my Federal Tax Audits (3 years!) and correct my own past filing errors. Mr. Sodowsky was able to produce new and amended returns that will help alleviate my tax burden. If you are looking for legal counsel that is knowledgeable, straightforward and responsive, Mr. Sodowsky can be your solution. After being in business for forty years and being bit by 18 years of overdue state & federal tax problems, we contracted with the Sodowsky Law Firm to handle the matter and straighten things out. They were very responsive and resolved all issues in an amazingly short period of time. Elden and his staff know exactly what they are doing and are truly fabulous people to work with. There was no bull or other issues in our dealings. I WOULD STRONGLY RECOMMEND THIS FIRM TO ANYONE LOOKING TO RESOLVE TAX ISSUES IN A VERY CARING AND EFFECTIVE MANNER. Superb assistance. After I came away from a horrid IRS tax audit, with post-divorce issues to boot, I contacted Mr. Sodowsky who helped navigate me through a payment plan and even got me some abatements from the IRS. He answered each of my questions patiently and always had time to speak with me in person when I requested it. I would not hesitate to recommend him if one has had an IRS audit and now needs to address tax debt. How Many Years of Tax Returns Do I Have to File? Do I Need To Hire An Attorney to Help With My Tax Problems?